Are you applied for Delhi Police Recruitment 2018 for 707 MTS Vacancies ? Now you want to download Delhi Police Syllabus for better preparation in exam. Here we are provide to you all contents regarding DP Police MTS Syllabus & Exam Pattern. Police Department of Delhi has issued recruitment notification for filling up 707 MTS Vacancies like Cook, Tailor, Barber, Carpenter and others. Candidates who are interested can fill the online application form before on 16.01.2018. 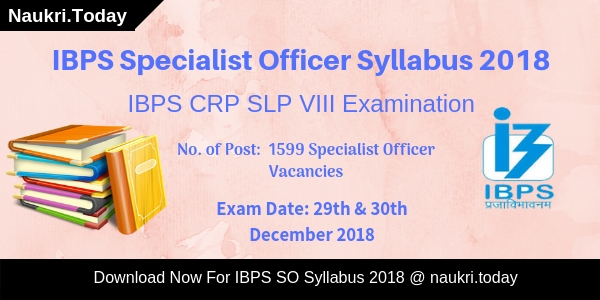 Candidates who are applying successfully for MTS Vacancy download Delhi Police MTS Syllabus 2018. In this article, our team provide to you all information regarding Delhi Police Syllabus & Exam Pattern for MTS jobs. Department of Police, Delhi has released advertisement for the candidates who desire work in police jobs. Applicants who had completed their education and interested to work in police department can apply for MTS vacancies before on 16.01.2018. If you cross the last date then you can apply for another jobs in the department. Applicants who are successfully applied for Multi Tasking staff may check Delhi Police MTS Exam Syllabus 2018. Latest News as on 24.11.2018 : Applicant Delhi Police has issued Exam Date for MTS exam. Check DP Police MTS Exam Date & Check your Delhi Police Admit Card from here. If you are going to participate you must check the exact exam pattern and syllabus to get better marks in the examination. Delhi Police Exam Syllabus for Multitasking Staff is mention below. 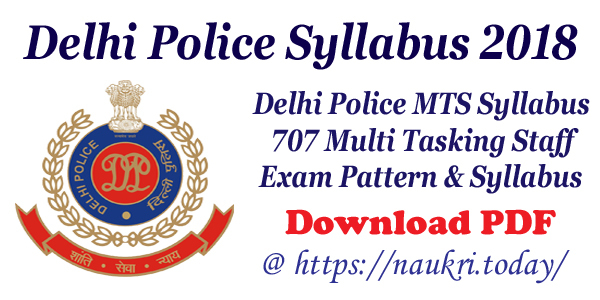 What is the Selection Criteria and Pattern of Exam for Delhi Police MTS Syllabus 2018 ? Police department of Delhi has announced recruitment for filling up 707 Multi Tasking Staff Vacancies. The MTS Exam online registration from 17.12.2017. You can fill the online application form before the last date 16.01.2018. The MTS written test date to be notified by the department on official site. Applicants those are filled the online application form can check detailed Delhi Police Syllabus. The topic wise details about Delhi Police Exam Syllabus and Exam Pattern is given below section. Applicants selection criteria will be based on department of Police, Delhi examination scheme, which is given below. Applicants also can check scheme of exam, pattern and other in below section. Applicants who are going to attend the exam must read full MTS Exam Syllabus & Exam Pattern. 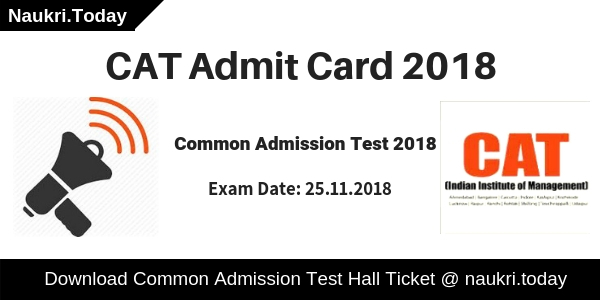 There will be Common Written test based on OMR sheet. The subjects will be decide with a class 10th pass student. There will be 100 marks and each question carry 01 Mark. The exam duration will be 1 hour 30 minutes. Furthermore check given below details regarding Delhi Police Exam Pattern & Syllabus 2018. The given below medical examination standard not applicable for persons with disabilities. Details of PWD candidates medical standard mention on below official advertisement. The candidates should be fit and sound good health, defect or deformity, free from all diseases. Better eye 6/6 without glasses, worse eye 6/36 corrected with glasses to 6/9 or 6/12. Applicants should check subject wise and topic wise details of examination. If you want to download syllabus of MTS Exam 2018 then click on given below link. At the end of the page, the direct link available for all of you. Current knowledge of climate, geography, sports, politics, economics, culture etc. Applicants who are qualified in the written test can attend the trade test. The trade test will of qualifying nature and will carry 20 Marks. Candidates who get 10 Marks and above in trade test will be declared qualified. Details more about Delhi Police Multi Tasking Staff Syllabus 2018 is mentioned below. Hello Friends, Are you looking for Delhi Police MTS Result 2019? If yes, Here we provided you links to download Score Card and Cut Off Marks. Delhi Police Exam Result consists of important details such as total marks, Much more. Candidates may download Delhi police MTS Exam Result 2019 from a link given here. Conclusion : Delhi Police Syllabus 2018 : Police Department of Delhi had invited online application form for recruitment of 707 Multi Tasking Staff Vacancies. Candidates who filled the application form through online mode should require the Delhi Police MTS Exam Syllabus 2018. Download Here MTS Exam 2018 Syllabus & Exam Pattern. Dear applicants after applying successfully for Constable Vacancy download Delhi Police Syllabus 2016. This is a great opportunity for the candidates searching jobs in Delhi Police Department. Interested candidates must submit the application online on or before 10.10.2016. Application Form will submitted through official website only. Applicants will get exam like exam process,exam scheme,exam date and other details through official notification. Know About Delhi Police : Delhi Police Department was defined by the British after First World War. Establishment of the department was done in 1857 with the adaption of Indian Police Act. Since 1857 Delhi Police is providing better facilities to Delhi population. This time Delhi Police is recruiting candidates for 4669 Constable vacancies. Candidates can collect the exam information through link given below. Summary of Delhi Police Recruitment 2016 | Constable Vacancies : Delhi Police Department has published notification for 4669 Constable(Male & Female) Posts. Official Notification has also published on its website on 15.07.2016. Application Forms will submitted in online mode only. Candidates are allowed to apply online from 10.09.2016.Interested candidates can apply online or before 10.10.2016. Department has also announced the written exam date i.e. 04.03.2017. So applicants who are willing to join Delhi Police Department should submit application form. After the registration form candidates must download the Delhi Police Admit Card. As Call Letter will needed at the time of exam for verification. Applicants are advised that after applying they must start their exam preparation. You can prepare for exam as according to the syllabus or exam scheme given below. Minimum distance vision required of the applicants is 6/12(Without Glass) and free from color blindness. Candidates who have gone through Lasik Surgery for their vision have to pass some test. Applicants have to give Contrast Sensitivity,Dim Light Vision and Glare Acuity tests. All Test will held at Govt. Hospital. Applicants should sound state of health,free from defect,deformity or other disease. Reasoning Syllabus : Comprehension Reasoning, Venn Diagrams, Number Series, Coding and de-coding, Problem Solving Techniques, Statement & Conclusion type questions,arithmetic reasoning, arithmetical number series, non-verbal series, syllogistic reasoning, Seating Arrangements. Numerical Ability :Questions will be asked from Simplification, Average, Percentage, Time & Work, Area, profit & Loss, Simple & Compound Interest, Time & Speed, Investment, HCF LCM, Problem On Ages , Bar Graph, Pictorial Graph, Pie Chart. Date Interpretation is the section which have to focused. Aspirants who will qualify the PST and MT will called for written exam. Final result will declared by the commissions department. Merit List generated will bases on the performance in written exam. Candidates have to pass the selection criteria to get selected. After the exam candidates can check their results at its official website. Applicants open the official website delhipolice.nic.in. Visit the given Delhi Police notification link. Check the complete syllabus or exam scheme. Prepare a time table as per accordance. Start preparation and score well in exams. Delhi Police Syllabus 2016 | Delhi Constable Exam Pattern : Delhi Police Department is going to conduct exam for 4669 Constable Vacancies. Candidates can apply online before the last date i.e. 10.10.2016. Applicants download the Delhi Police Syllabus 2016 for exam preparation.